I was recently able to try out Pura D’or Organic shampoo and conditioner to see what I thought. I was happy to try anything that is sulfate and paraben free because I know it’s better for color treated hair. There are a lot of shampoos out there but when you have color treated hair you really should use a shampoo and conditioner that doesn’t have sulfates so your color lasts longer. This shampoos and conditioner is very moisturizing because of the organ oil in it and this shampoo also helps with hair loss. It’s a nice shampoo and conditioner that doesn’t leave your hair dry. Pura d’or products are manufactured using a host of natural ingredients such as Almond, Aloe vera, Apricot kernel, Avocado, Basil, Bergamot, Carrot, Castor, Chamomile, Cherry, Clary Sage, Clove, Coconut, Cucumber, Evening primrose, Flax seed, Geranium, Ginger, Grape, Jojoba, Lavender, Lemon, Lemon Grass, Mango, Mimosa, Myrrh, Neem, Nettles, Olive, Orange, Patchouli, Papaya, Peach Kernel, Peppermint, Pine, Pomegranate, Rose of Jericho, Rosemary, Rosehip, Sage, Saw Palmetto, Sesame seeds, Spearmint, Sunflower, Tamanu, Tea tree, Thyme, Wheat germ, White Tea, Wintergreen, Ylang ylang. 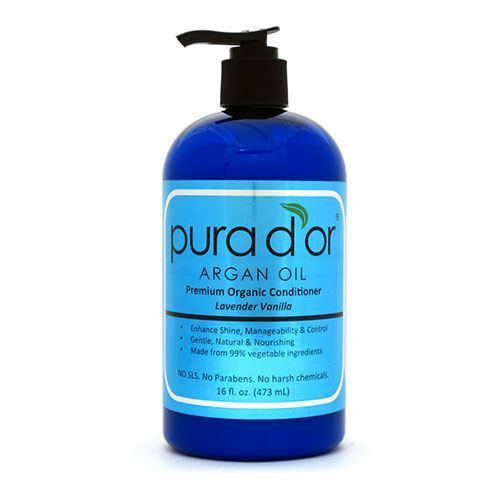 Here is your chance to win a bottle of either a shampoo or conditioner from Pura D’or.